Many people wonder what I think about the law. As I continue to relentlessly preach grace they seem to jump to the conclusion that I hate the law and that I believe the law is no longer relevant. Let me address this concern by saying this – I think the same thing the apostles thought about the law. Here are just a few verses that describe what they thought of the law, as recorded throughout the New Testament. I encourage you to take time and go through them, check them in context, I have, and I am very confident of what the New Testament writers had to say about the law. I know it’s a relatively long list but it’s well worth it. As a disclaimer, if this list makes you angry, please hear me out to the end. I actually love the law and so did the writers of the NT – so long as it remains in its rightful place! Let’s not kid ourselves, even in the Old Testament the Mosaic Covenant was one that had five times more curses than blessings. There are 13 verses of blessing described (Deuteronomy 28:1-13) and 65 verses of curses (Deuteronomy 27:15-26, 28:16-68). People lived constantly under the awareness of both the severity of the law and their inability to fulfill it! The law was always more of a curse than a blessing to those who were under it! That was its very purpose – to show just how much trouble they were in! They knew they were to celebrate the law because it was God-given, but they never ultimately had a revelation of why it was given. It was given to a people who wanted to do things their own way, as a way to show them they couldn’t! It showed them the standard of God’s holiness was far beyond anything they could ever hope to achieve themselves. This law was required and yet at the same time wholly impossible to obey. It was meant to drive them to grace and mercy and that grace and mercy could only come through the One who did the impossible by fulfilling the law. But Jesus came to fulfill the law, not do away with it! Let’s say you have a mortgage for $500,000 owed to the bank. Now imagine that a rich man comes along and pays that mortgage off in full. He gets his receipt of the payment and you receive written notice of the mortgage being paid in full. Now suppose the first of the month comes round and you get your monthly bill, from the bank, demanding your $2000 monthly repayment. You are going to go straight to the bank with your piece of paper saying that the contract you had with the bank has been paid in full! You would be crazy to keep paying according to the old, fulfilled contract. Jesus is saying in Matthew 5:17-20 that it is imperative that the standard of the law remains. Because if that standard is not left for those who do not believe in Him people will not realise their inability to do it! To put it in another way, the law must be there otherwise nobody will realise they need grace! OK, but just the ceremonial law right? This is where it gets complex and I want to make it as simple as possible for us all. You see, a lot of people try to break up the law, into either two, ceremonial and moral, or three parts, ceremonial, civil and moral. I often hear people explain that it was the ceremonial law that was nailed to the cross. This is a nice idea we use to try keep a hold of as much of the law as we possibly can, while doing away with some. The problem is the Bible doesn’t break up the law as nice and neat as that, in fact it doesn’t break up the law at all. However, I’m not going to argue about whether or not the law is broken up into sections, let’s just go straight for the jugular. 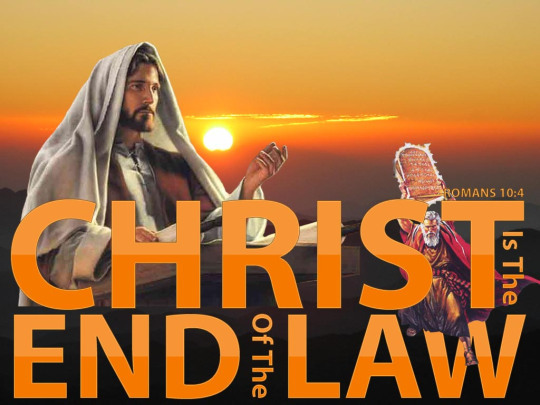 Paul explains that the “law” which is no longer relevant in the believer’s life is the law which is “written and engraved on stones” in 2 Corinthians 3:7. Which law does that sound like? The ceremonial law? The civil law? Obviously this is the Ten Commandments Paul is talking about, they were the only laws to be engraved in stone. Paul isn’t being vague here and wants everyone to know that when he says that the law is no longer applicable in the Christian’s life he means the whole package it came in! If you feel a need to divide the law up, that’s fine, just so long as you know the whole thing was fulfilled in Christ and the whole thing is for the unbeliever not the believer (1 Timothy 1:9). So you are saying I should go sin as much as I like? This is the most common question I get asked, for that reason I won’t be addressing it in this blog. In short, sinners sin, saints don’t. If you think God made you righteous so you could keep on sinning then you’ve completely missed the point that He made you righteous. Righteous people find it hard to sin. If you think I’m saying you cannot sin as a Christian I again refer you to the above articles! Firstly let me say this, I’m not saying we tear out the first half of our Bible and never read it again. It is still the Bible and God still uses it to teach us and direct us. The Spirit of God helps us divide the scriptures so we understand how to read them in light of the New Covenant. God’s grace is just as present in the Old Testament as it is in the New Testament. However this article is not about the Bible, it’s about the law. So, secondly, I’m not saying you should never read the law or that the law should no longer exist either. We can find in the law loads of things that speak of who God is and teach us the grace and mercy of God. Not only that, but without understanding the law, our sin and the consequences of them, we will never fully be able to celebrate the freedom that God’s grace has brought us into! It is so important to understand that the law is good, it is perfect, it is holy (Romans 7:7-12), but most importantly it’s essential that we remember that it has a purpose. That purpose is to lead people to the end of themselves, it is there to push people, until they give up on the law and choose to rely on God’s gift of grace! The law will never save anyone, nor will it make them a better person, whether they are a believer or unbeliever. It is simply there to show us how lost we are without grace. The law is a mirror, but nobody ever uses the mirror to clean themselves. The purpose of a mirror is to show you your dirty face – not to clean it – you need Jesus to clean that dirty face. The church is in desperate need for another reformation. For too long we have straddled the fence of the New and Old Covenant. A bit of grace here, a bit of law there. But the truth is that a little leaven ruins the whole bread. We don’t mix grace and law. Grace + Law = Law. The only way to drink grace is undiluted. Let’s make it a priority to keep the law in its rightful context, as a tool to lead people to the end of themselves. We must stop teaching the law as if it were a list of rules for us to follow, they are not a list of helpful moral guidelines which we are supposed to focus on trying to keep. It absolutely devastates me that the first thing children learn when they go to church is the ten commandments! Did we not read 2 Corinthians 3:14-15? What are we doing to our children? To ourselves? The truth is we have been set free from the law, and our lives in grace will look better than those of any person trying to keep the law. Because we are not cleaned from the outside, we are cleaned from the inside. We have become a new creation. Have you ever thought about the tree of the knowledge of good and evil? If Adam and Eve didn’t have knowledge of good and evil then how did they please God? The truth is that God has never wanted the human race to do life constantly trying to figure out if things are good and evil. He’s made us righteous so that everything we would do is good. You see the biggest hinderance to us doing good is our knowledge of good and evil! If we were willing to put aside our desire to do good and avoid evil, and instead just follow God’s voice, we would see the most incredible changes in our lives. What might happen if we trusted that Christ in us is good at His job and that the Holy Spirit, actually produces the fruit of the Spirit and not us? The only thing a believer needs, to live a holy life, is to remain conscious of the fact that God has fully accepted them as His son or daughter, making them a new creation and one with Him, filled with the Holy Spirit.